No Need To Worry With Our 30 Day No Questions Asked Money Back Guarantee! 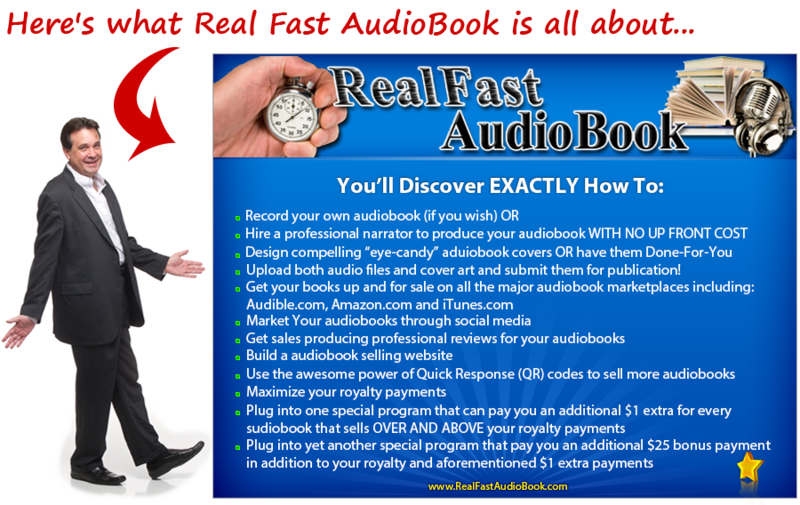 Get Real Fast AudioBook for ONLY 4 Payments of $77 Now! I’m soooo completely jazzed about this…You know that a core tenant of my business is to build as many free-standing, set-it-and-forget-it, passive income, profit centers. 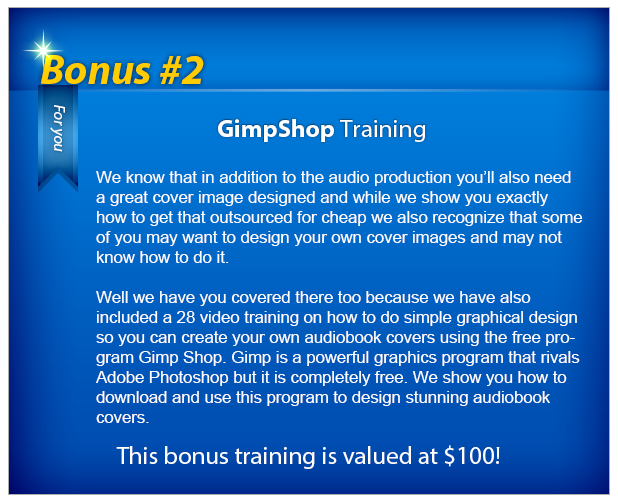 I mean Real Fast AudioBook gives you EVERYTHING you need to get your audiobook up and selling!!!! And this is important !!! – Real Fast AudioBook shows you how to do this even if you’re a rank beginner; even if you don’t have a great radio-announcer voice; even if you don’t have a single Kindle book on Amazon (remember you can make audiobooks only if the Kindle/ physical version is first available on Amazon). 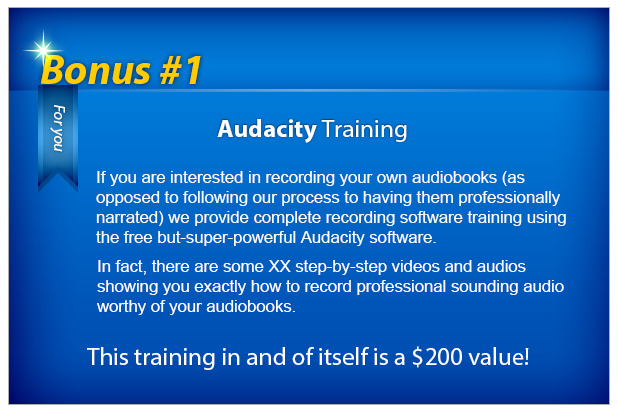 If you could find another program as complete as Real Fast AudioBook (you can’t) you could easily pay $997 for it. And just so you know how serious we are about your success we’ve also included relevant bonus trainings. So you’re probably asking what’s the investment in Real Fast AudioBook. You wonder if you can afford it? 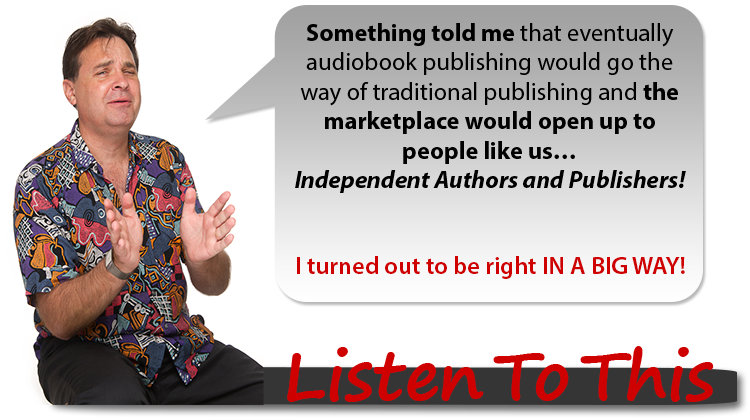 IF you are serious about producing High-Quality audiobooks that open up a Brand New Income Source for you,… Then, you can’t afford to NOT invest. And the good thing too is that the tuition in this program is only $397 for a limited-time. 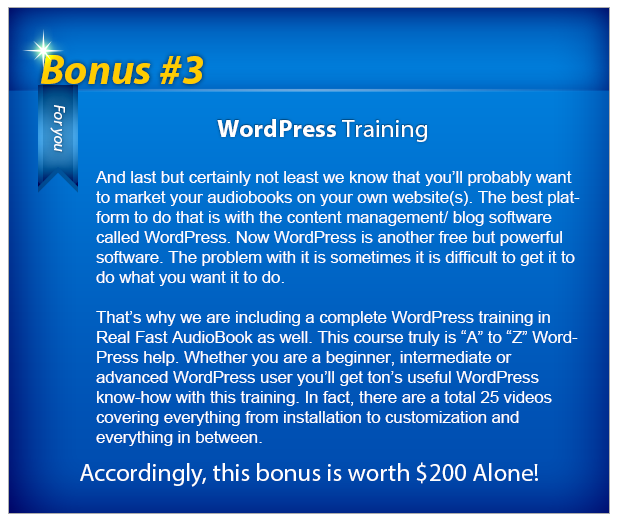 Remember that the Real Fast AudioBook training is valued at $997 plus you get the Audacity bonus worth $200, the Gimp Shop bonus worth $100 and the WordPress training worth $200. And you can get it all for ONLY $247. And if you need a payment plan we have that for you too. In fact, you can start this fabulous training for Only 4 payments of $77 (the first $77 payment today and the remaining 3 billed every 30 days).